Pasta sauce, or “sugo” has a special place in our family. Every holiday I can remember involved Grandma Jan’s giant pot of sauce, simmering on the stove, filled with meatballs and hunks of pepperoni. The pasta was always an afterthought, the lowly vessel on which more sauce could be ladled. Her recipe was given to her by her mother-in-law, my Great-Grandma Lou. She could flat-out cook and to this day, her skills bring the conversation to a halt, as eyes glaze over in remembrance of what she could do in the kitchen. Although she is no longer with us, her memories inspired a lazy Saturday to turn into a sauce making event that I was honored to share with two excited and delightful sous chefs. This time of year brings us tomatoes, onions, oregano, carrots, and basil right out of the garden. Despite eating more than we process, there were enough tomatoes to get the project started. 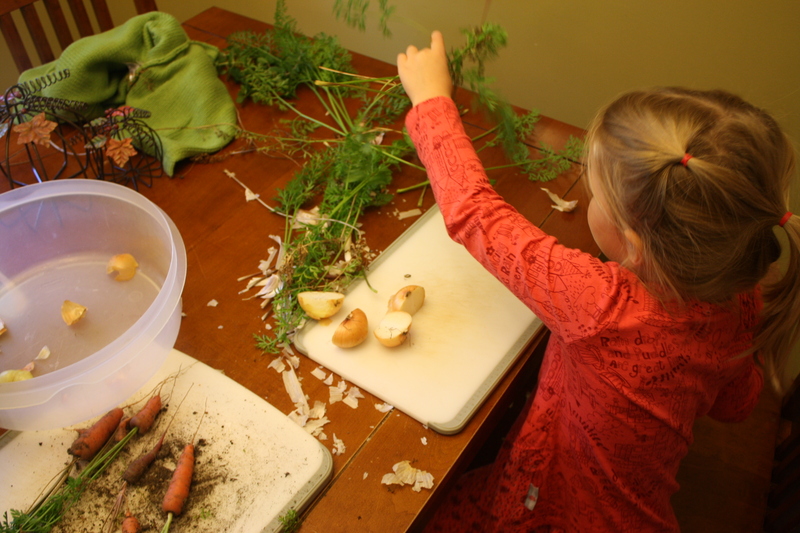 The girls both helped with Gianna pulling carrots from the garden and Addie peeling cloves of garlic. 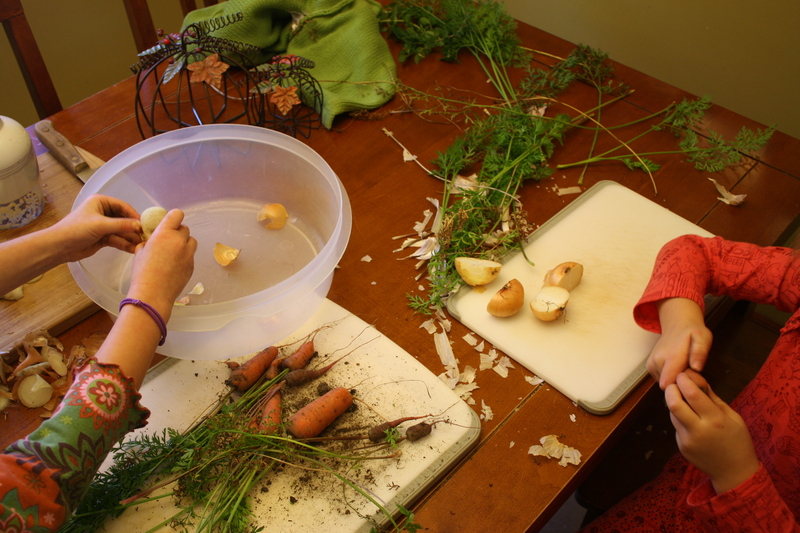 Both girls helped peel onions and prep the herbs. We absolutely destroyed the kitchen, used every cutting board in the house, and left onion skins all over the floor. Despite the mess, I was able to spend a few hours with my girls recreating the smells and flavors that I remember growing up with. My most sincere hope is that they will remember these moments and find time to create them with their children and grand children, so that future generations will know the importance of food, family, and the sense of community only found in the kitchen. This entry was posted in Gardening, Holistic Living, Sustainable Living and tagged backyard, canning, cooking, DIY, eco friendly, food, food preservation, freezing, fresh, garden, gardening, gardens, growing, harvest, holistic, holistic living, home, homemade, homemaker, homemaking, make, making, mama, mindfulness, mother, recipe, sustainable, sustainable living. Bookmark the permalink. 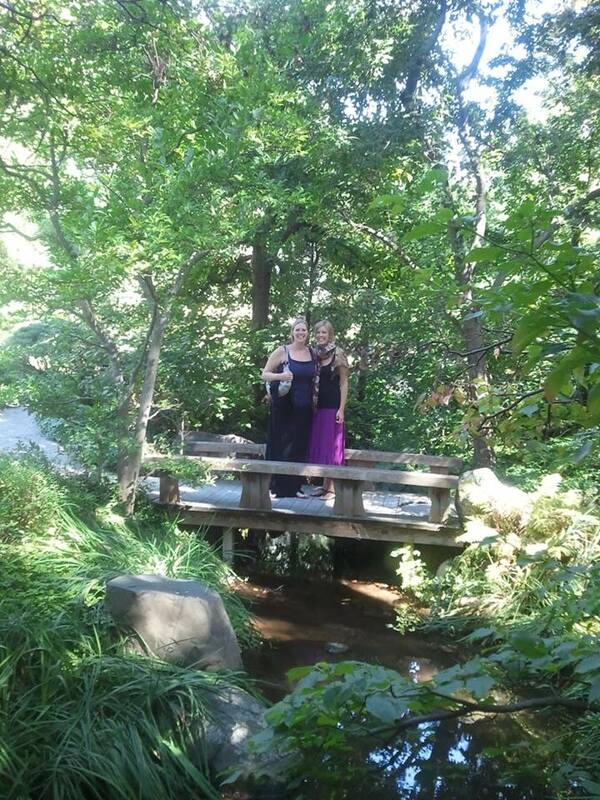 And this is what it is all about…..great guest blogging Tyler! Thank you for sharing and keeping all of family alive in our hearts for all the generations to come!! That was an awesome blog Tyler!! I loved it! You have two eager to learn sous chefs and you created beautiful memories with them. 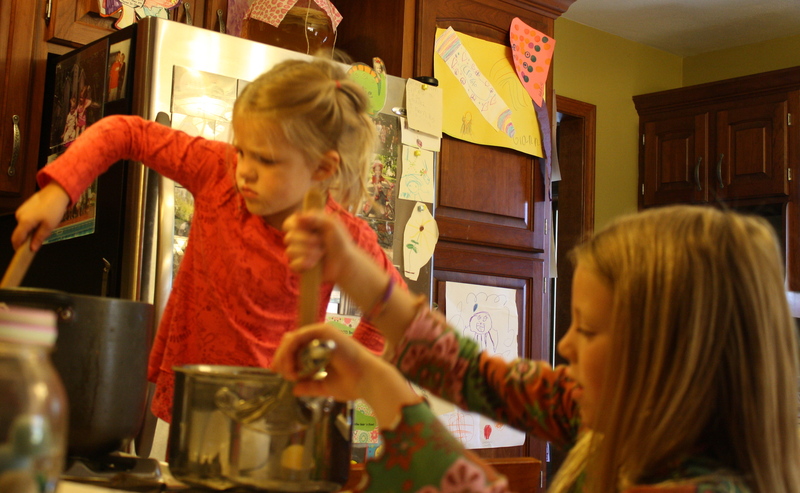 I loved the look on Addie’s face when she was stirring…such concentration!! 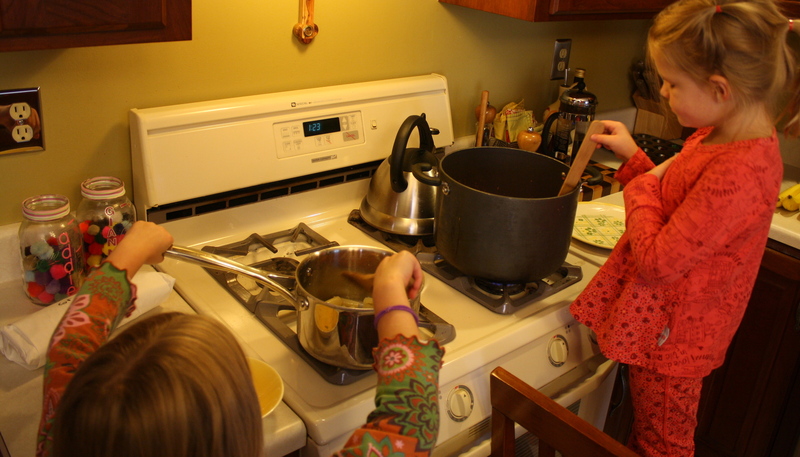 It is a wonderful thing for kids to see both of their parents cooking and teaches them so much. I bet the sugo tastes wonderful too!! 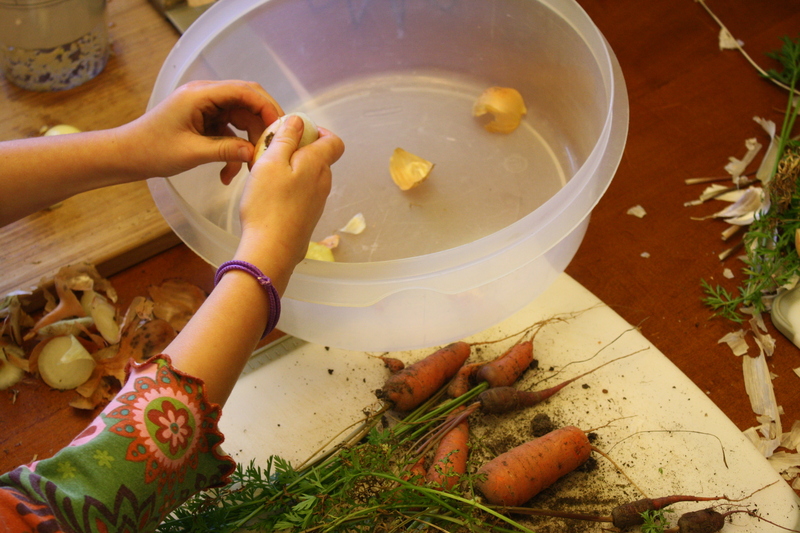 Blog didn’t say but I bet you taught them how to clean up all those onion peels on the floor!! The clean up was not too bad considering the mess we made! It was well worth it though. I am already thinking of our next cooking session so we can post it here.